Regularly cleaning your air ducts can not only improve your indoor air quality, but can also save you money by reducing wasted energy. In addition to daily dust and dirt, pet dander, allergens, smoke, and other debris can easily make their way into your HVAC system and begin circulating your home. Once these contaminants are drawn into the system, they are re-circulated up to 7 times per day, which give homeowners more chances to come in contact with these potential allergens. While air filters are capable of effectively filtering these contaminants, the debris tends to build up over time in the ducts, which can ultimately reduce the overall airflow and reduce the indoor air quality. Additionally, built-up debris can also cause your HVAC system to work harder, which not only puts more stress on the system, but also produces wasted energy. The additional stress caused by this debris can eventually cause larger issues for your system, ultimately shortening the system’s life span. 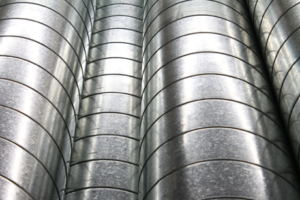 As more contaminants are compiled within your air ducts, the system must work harder to force air through the ducts, which increases energy usage and can yield energy bills that are 25-40% higher than necessary. The best way to combat these issues is to have your air ducts professionally cleaned once/year by a certified HVAC technician, like General Air. With general yearly maintenance and cleaner ducts, General Air can help you save money, prevent possible breakdowns, and breathe easier all year long. previous post: Why Is My Air Conditioner Producing Foul-Smelling Air? next post: Why Is My Air Conditioner Whistling?